In a massive effort to promote and nurture entrepreneurship in the state, the Assam Government is rapidly taking strides to give a stronger impetus to budding entrepreneurs and nascent startups. As a part of this paradigm shift to endorse entrepreneurship, the state government has partnered with Invest India, parent organization of the Startup India initiative under Ministry of Commerce & Industry, Govt of India, to assist in creating a vibrant support ecosystem for startups in Assam. The effort is being led by Shri Ravi Capoor, Additional Chief Secretary to the Government of Assam, Industries and Commerce Department and Shri K.K Dwivedi, Commissioner of Industries and Commerce, Government of Assam. 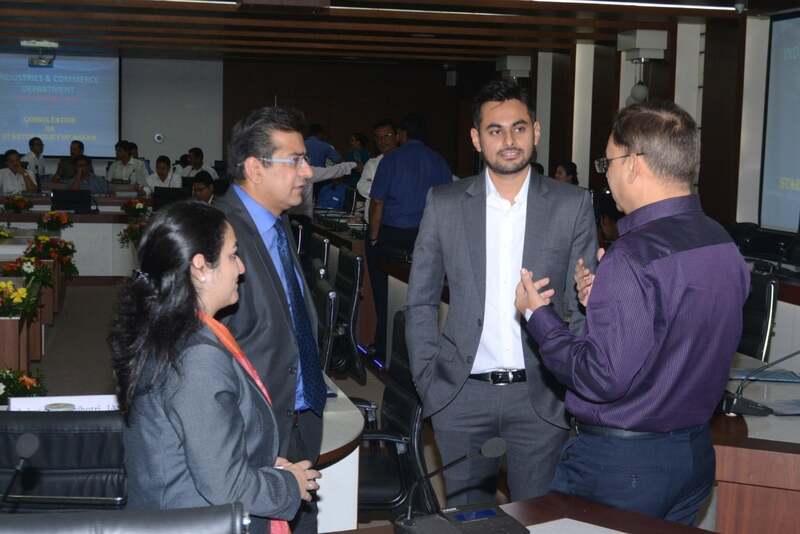 The young and dynamic Invest India team has assisted the state government in drafting Assam’s first ever Startup Policy under the Department of Industries and Commerce, Government of Assam, with various initiatives and incentives to create a push for employment generation and stimulate the startup culture in the state. This policy has been drafted with the long-term objective of nurturing pre-incubation stage startups, generating employment in the state, and establishing Assam as the startup hub of North East India. With the first draft of the policy out for public feedback, a stakeholder consultation meeting was conducted under the chairmanship of Shri Ravi Capoor, Additional Chief Secretary to the Government of Assam, Industries and Commerce Department on 23rdJune, 2017. 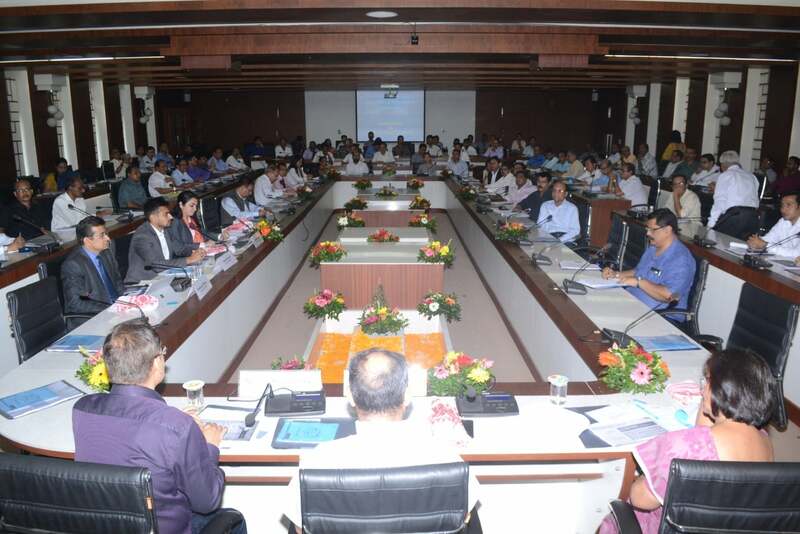 Attendees of the meeting included representatives and stakeholders from the ecosystem like Dibrugarh University, IIM-C, IIM Shillong, STPI, CIPET, Assam GrahminVikas Bank, Indian Institute of Entrepreneurship, DST, FICCI, and local Assamese startups. Abheet Dwivedi and Akanksha Kapoor of Invest India presented the key highlights of the Draft Startup Assam Policy 2017 which included, creating a state-wide infrastructure facility booking system to optimize usage of the infrastructure available through a new recognition process called MASI (My Assam Startup Id), academic intervention to catch the interest of the youth and their talent early on to create a shift in mindset, and a state-owned marquee incubator in the heart of Guwahati which will act as the Hub for all startup related activities in the North East. The draft startup policy has received an affirmative response from all the stake holders in Assam and is due to be notified soon. The key highlights of the Assam Startup Policy Draft, 2017 are: creating a digital startup ecosystem for the state, including a startup portal and recognition of Assamese startups with a unique ID (MASI – My Startup Assam Id); launching an online learning and development program in Assamese;establishing a central state-owned incubator and aggregating existing infrastructure on the lines of a hub and spoke model; various fiscal incentives and benefits; and major emphasis on human capital & skill development. With an exhaustive coverage to curb the various pain points of early stage businesses and enterprises, the Assam Startup Policy is well on its way towards creating a lucrative destination for starting up and laying down the cornerstone for Indian innovation in the north east. The Startup Assam Portal is envisioned to be an all-inclusive enabler, that is to provide state startups with a seamless experience in accessing infrastructure, incentives and know how on the ecosystem. This includes information aggregation about the policy, how to apply for and avail the various benefits enlisted in the policy document. In addition to this, startups will have access to a facility booking system, which will enable them to book and utilize assorted government infrastructure. Through the Startup Assam Portal, startups will be issued a My Assam Startup ID (MASI). Every startup possessing a MASI will be duly recognized under the Startup Assam initiative and will have smoothaccess to the state-wide infrastructure network and benefits under the Startup policy. The Assam Startup Policy outlines the inception of a state-owned incubator which is to be setup in Ambari, Guwahati. This incubator will provide state of the art facilities such as co-working space, meeting rooms, collaborative hubs, fab labs, investor lounge etc, and will cater to the best of startups registered in the state through physical and virtual incubation facilities. This incubator will also be home to the Startup Assam Cell, which will act as the policy implementation unit for all the startup related policies in the state. In order to assist nascent startups in crossing the chasm between bootstrapping and venture capital, the policy discusses the roadmap to provide funding options to registered startups. This includes setting up of an Assam angel network, loan schemes with interest subsidy, among other reimbursement and subsidy incentives.Registered startups will also receive incentives for filing patents and other non-fiscal incentives. The policy also emphasises on proactive academic intervention by creating the right environment for learning, experimentation and innovation from the early phases of education. This includes modifying and updating school/university curriculum, incentivising and promoting entrepreneurship development cells, setting up of various learning and development programmes through MOOCs and encouraging student entrepreneurs through various incentives. In addition to this, the Government has also agreed to organise various startup centric events to build startup culture among various stakeholders and providing a platform for innovators to showcase their ideas.